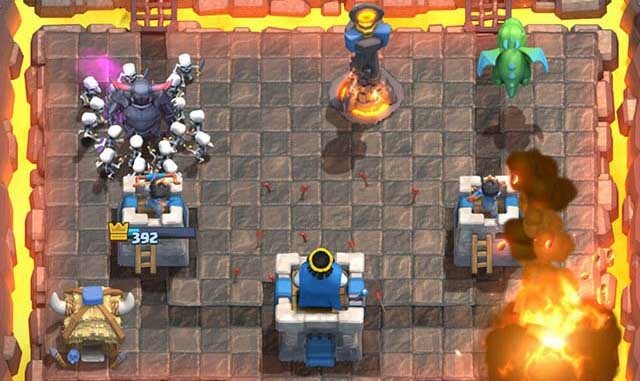 If you want to compete with the top players in Clash Royale buying gems is a necessity. There is no way to level up fast enough and get the needed cards for the top decks without spending money on buying gems from the shop. Obviously you want to get the most value as possible out of the money you spend on the game, and this guide will evaluate the different ways you can spend your gems and advice you what the best option is. 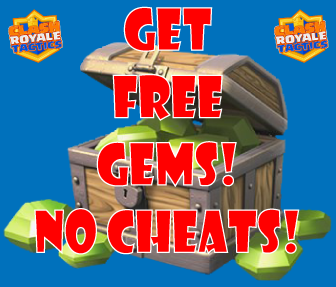 You can find out how to get free gems here. Spending your gems on gold. Spending your gems on speeding up chests. Spending your money on magic chests. Buying cards to donate to clan. How to buy gems in the US. 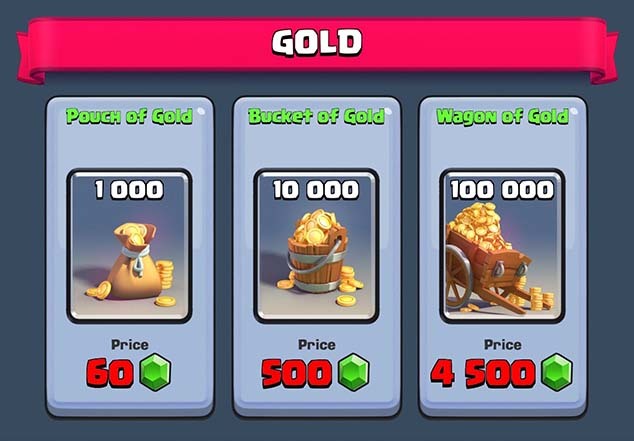 For most players spending all your gems on buying gold will be the best option. When I’m talking about most players I mean players who are spending less than $50 on buying gems. I am in this group of players, and after spending a lot of time evaluating the different options I found out this is the best option for me. The reason why you want to spend your gems on gold is twofold. First the shop offers one epic card for sale starting at 2,000 gold every day. This is a great deal compared to what you would have to spend to get epic cards in chests. 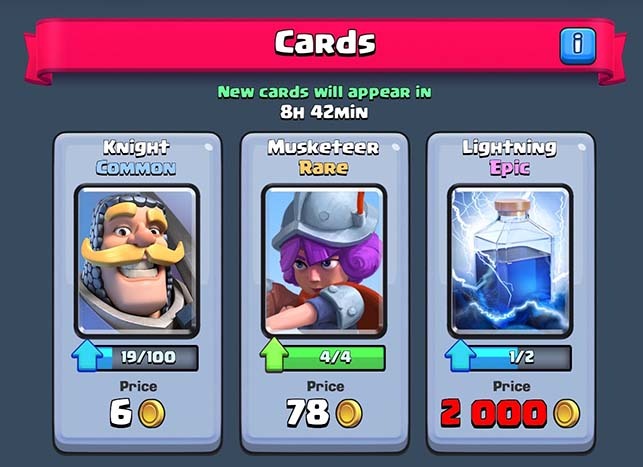 You can buy more than one epic card from the shop, but then prices go up to 3,600 gold for the second one and that is too expensive compared to speeding up chests. Let’s look at some numbers. 10,000 gold costs 500 gems to buy, and you can spend this to buy 5 epic cards from the shop. What is awesome is that you can actually chose which cards you want to buy compared to just getting random cards from chests. The result of 7,500 gold is 25% less value compared to what you would get just buying gold to spend on epics in the shop. This is also in best case scenario with arena 5 chests, which are the best chests to buy.You also have no way to decide which epics you get. The second reason you want to spend your gems buying gold is for upgrading your cards. Upgrading cards get quite expensive at higher levels, and you really don’t want to be forced for wait to make enough gold when you already have enough cards to make the upgrade. This has happened to me a few times and it’s very frustrating looking at the ready to upgrade cards without having the gold to make it happen. Another option would be to use your gems on speeding up the chest opening. I will show in the next paragraphs that this is a better option than buying chests, but still not as good value as buying cards from the shop with gold. The store only has one epic card for sale at 2,000 gold every day, so if you want to spend more money on the game to progress even faster, you have to look at other options. The two remaining options on spending gold then would be buying magical chests and speeding up the chest opening. This is better value than buying the magical chests from the store, but not as good as buying gold and then epic cards at 2,000 gold from the store. You can also use the opening timer more efficiently doing this, no need to check the game every 3 hours to open the silver chests anymore. 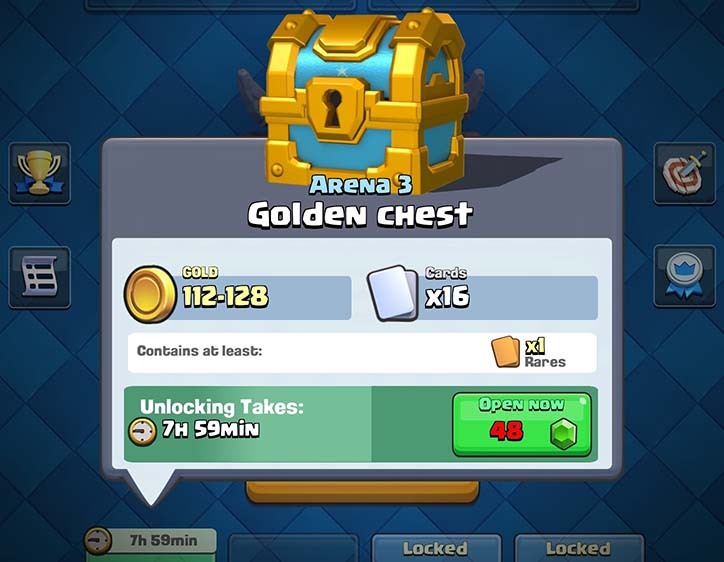 It would now be enough to open the game very 8 hours as you will only use the timer on the 8 hour chests and open the silver chests with gems as soon as you get them. This is the option for the high rollers. If you are already buying the epic from the store every day and speeding up all the chests you get while still having gems left, it’s time to buy magic chests. Please note that very few players will spend this much money on the game, we’re talking about those people who spend $1,000 or more on the game here. How much gems you are spending on speeding up chests obviously depends on how much you play, but I’m assuming the high rollers are also playing a lot here. Anyways, I’d advise you to stay in arena 5 while you’re spending the majority of your gems buying chests. 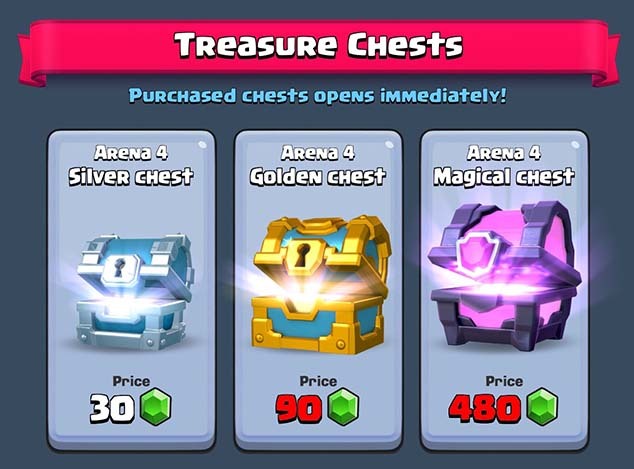 Arena 5 magical chests are superior value compared to the other chests you can buy, and if you are going to spend $1,000+ on Clash Royale, at least make sure you get as much value out of it as possible. I just thought I’d briefly talk about buying the other cards from the store as well. Every day you should also buy the first 4 common and 2 rare cards from the shop. For the common cards this will cost you 3 + 4 + 5 + 6 = 18 gold. You can donate these to your clan and that will bring you 1 experience point and 5 gold for each card. That is 4 experience and 20 gold total, so a 2 gold and 4 experience profit. I would say that 1 experience point is worth at least 1 gold, that’s why I advise buying 4 cards and not 3, even if you lose 1 gold to gain 1 experience point on the last card. When it comes to the first 2 rare cards they will cost you 40 + 56 = 96 gold. 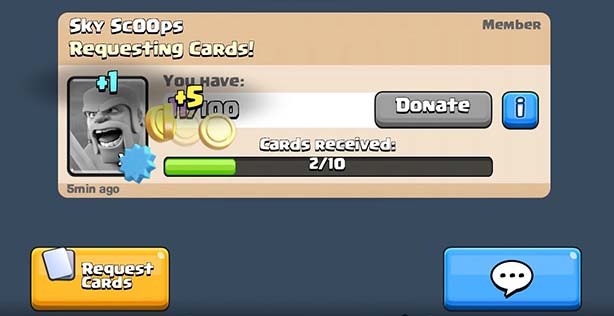 Donating them to your clan will give you 10 experience and 50 gold for each card. That means a profit of 4 gold and 20 experience for these two first cards. Even though the second card costs 56 gold and you only get 50 gold from donating it, making 10 experience certainly makes up for it. 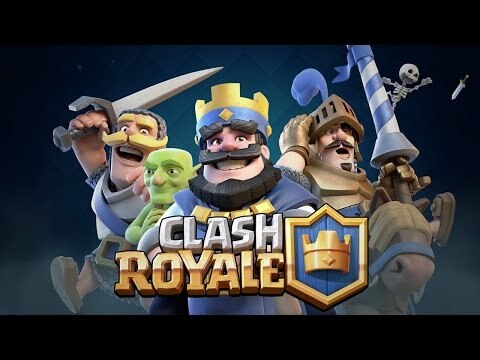 As most of your probably know, Clash Royale is at the time of writing only released in selected countries. Therefore most US players download the game from the Canadian App store, but they then have a problem adding their credit card to buy gems in the game. The most common way to solve this problem is to use iTunes Gift cards instead of adding a credit card directly to your account. You can buy a iTunes Gift card from the Canadian Apple store here. Buy from the Apple Online Store Do make sure that the icon on the bottom actually shows the Canadian flag before buying though, and make sure you are getting an iTunes Gift card and not an Apple Store gift card. Some people als claim they can temporarily change the country on their US account and download the the game from the Canadian App store. Then ones the game is downloaded they change the location back to the US and use their US credit card to buy gems in the game. You could try this first if you don’t feel like buying gift cards. If you’re spending $50 or less on the game, only buy gold which you use to buy epic cards in the store. If you’re spending $50 – $500 use the extra gems to speed up chests. If you’re spending $500 or more on the game buy magical arena 5 chests as well. Always buy the first 4 common and 2 rare from the store to donate to your clan with profit. Please leave any comments or feedback you might have, will keep this article as up to date as possible. 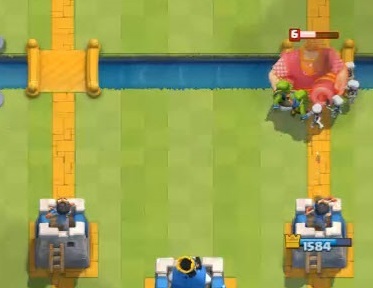 Now with the new may 2016 update coming out, I think the magical chests should be spent in arena 6 or 7 to get 4 or 5 legendaries. Do any of you agree with me? I always always always go get gold right away when I have gems..is this bad? nice! I didn’t know some of these things were possible.